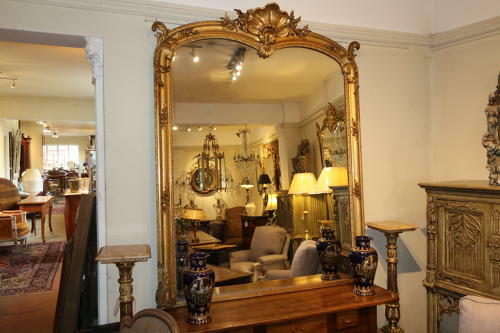 A really good, and very large Gilt mirror, being much wider than usual. Would make an excellent over-mantel mirror,with original mercury glass and good gilt. always difficult to source mirrors of this size and quality. Nicely decorated with foliage and scalloped shells. Dating to the 19th Century.